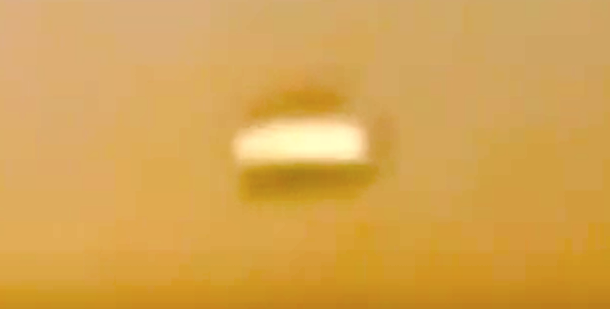 UFO SIGHTINGS DAILY: UFO During Sunset Over Brownsville, Texas On Aug 2, 2016, Video, UFO Sighting News. 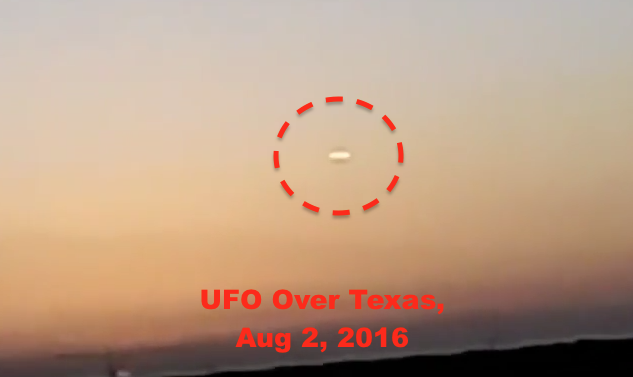 UFO During Sunset Over Brownsville, Texas On Aug 2, 2016, Video, UFO Sighting News. As I have said before, the most common time to see a UFO is during sunset. That is because the angle of the sun and the UFO adversely effect the visibility of the cloaked craft. This video is a great example of what I am saying. Also combined with the fact that this UFO appears to be over the ocean which could lead us to assume that the UFO came from an underwater base not far away. My brother was driving back home after a fishing trip on Hwy 48 when he noticed a bright, oval shape object moving slowly from left to right then stopping and hovering. The sky was cloudless at that time of day; you can see the sunset in the background of the video he recorded. The object had a small object that was trailing the big oval object and was absorbed, but was not captured on the video.